Young people are special, and so is the care and attention that they need when they are hospitalized. The focus of pediatric services at Fulton County Health Center is to help young patients return to a healthy state so their families can care for them at home. 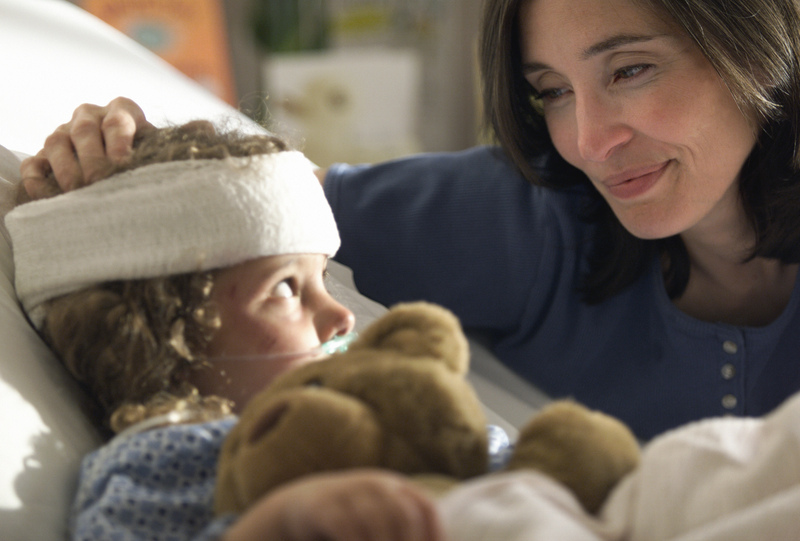 When a child is hospitalized, it can affect the entire family. Therefore, we encourage parental participation in helping their child recover from an illness or surgery. Our pediatric services incorporates a family centered approach to the care of patients. This includes parents participating in the care of their child. Parents can assist in many ways, including encouraging oral intake, bathing, providing oral hygiene and playing with their child. To aid in their recovery, we recognize that children need extra love while they are in the hospital. That is why we make every effort to accommodate overnight stays by a parent or guardian, and keep families informed every step of the way. The pediatric services of Fulton County Health Center offer care for both surgical and medical needs that requires inpatient hospitalization. Our nursing staff receive training in PALS (Pediatric Advanced Life Support). On our surgical unit our staff is there to help in post-operative care and in pain management. On our medical unit our staff treat pediatric patients with medical conditions that may include respiratory, gastrointestinal, and infectious procedures. To meet the care needs of the patient, a physical assessment is done on admission. At that time, the patient’s medical history is also obtained. A physical assessment of each patient is also completed each shift. We also have support services such as discharge planning and dietary education that are contacted promptly when indicated by the initial admitting assessment as well as when ordered by the physician. Care through these services is provided for our patients while in the hospital. For more information you can contact us at 419-330-2745 or 419-330-2765. You can also email us at info@fulhealth.org.